All copiers listed above are available during regular Library hours. We also have two high-speed black and white copiers and a color copier behind the counter if you need extra assistance with your copying job. 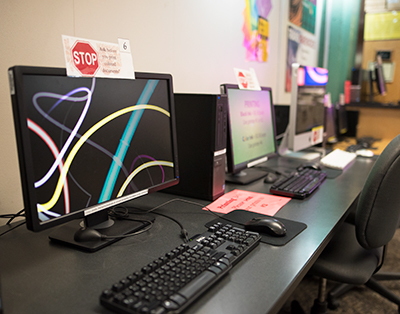 There are seven PCs and two Mac computers for self-service printing of black and white and color documents.